Very quick and very easy. 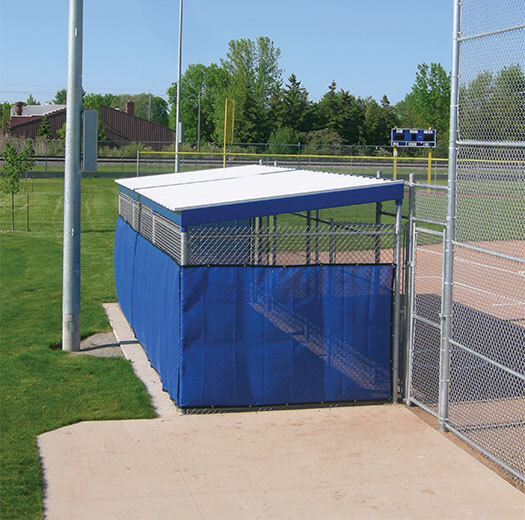 The prefabricated roof kits of Beacon Team Dugouts provide sun and shelter to your players and is designed to meet International Building Code (IBC) specifications for wind and snow load. The size, spacing, and height of the support posts are coordinated with fencing industry standards and are adaptable to masonry and concrete wall systems. 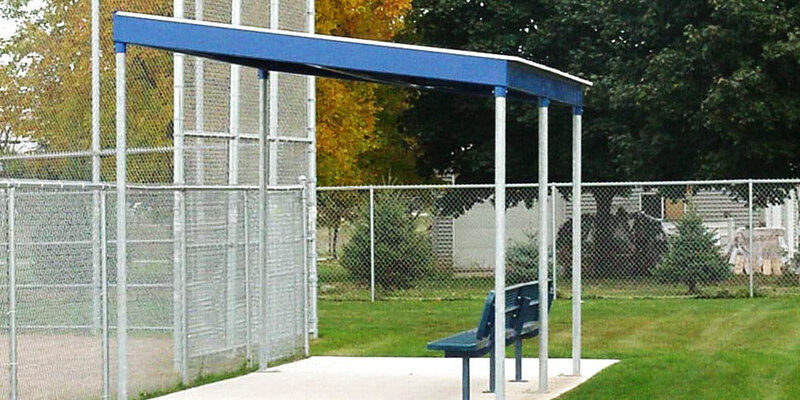 These 10 ft deep dugouts are constructed of maintenance-free materials and come in three standard lengths — 20, 30 or 40 ft — with custom sizes available. 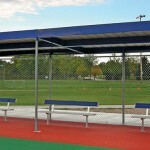 The roof framing can be powder-coat painted in several colors. 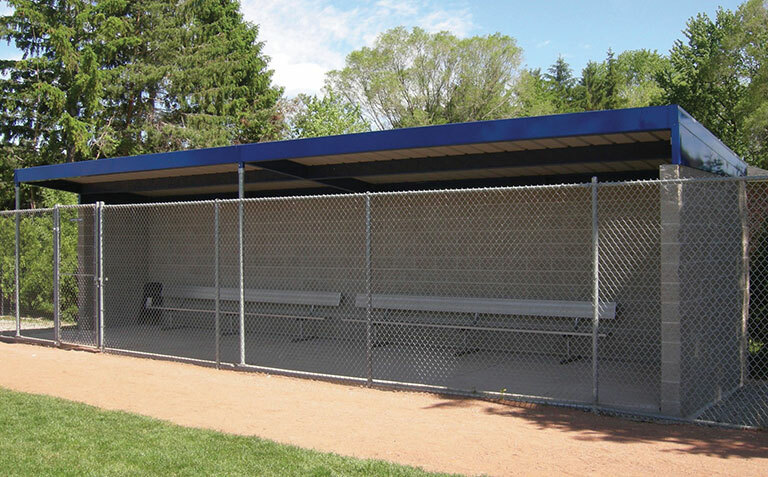 Consider wrapping these dugouts with chain link fence fabric and team colored windscreen panels featuring a printed logo to promote team pride and provide player/coach privacy (not included). 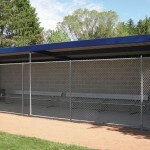 Dugout Furnishings: benches, bat racks, helmet racks, player cubbies, cleat cleaners, etc. 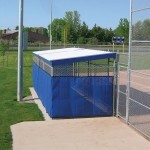 Standard sizes are based on a 10 ft deep dugout (9’10”) and available with powder-coat painted roof frames or unpainted roof frames. 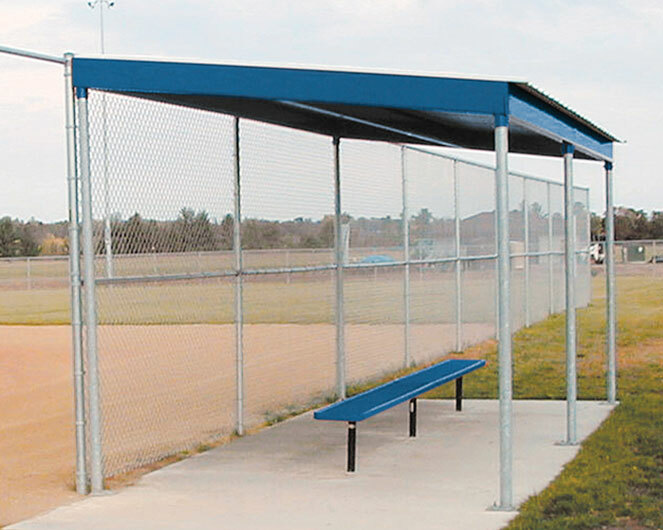 Width of dugout varies — custom dugout sizes available. 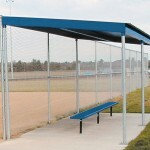 Additional products are available for enhancing your dugout. 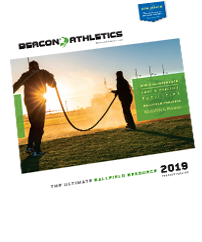 Reference these product numbers when consulting with your Beacon representative.